72 HOUR CABIN. The glass cabin that perhaps offers the most beautiful view of all is located close to the Dalslands Aktiviteter activity centre. Staying on your very own peninsula just above Lake Iväg, you can spend the days wandering through the forest, kayaking, and becoming acquainted with the elks. Dalslands Aktiviteter, located in the municipality of Bengtsfors, is the ultimate activity centre for anyone looking to explore the forests and lakes andwith their sights set firmly on adventure. 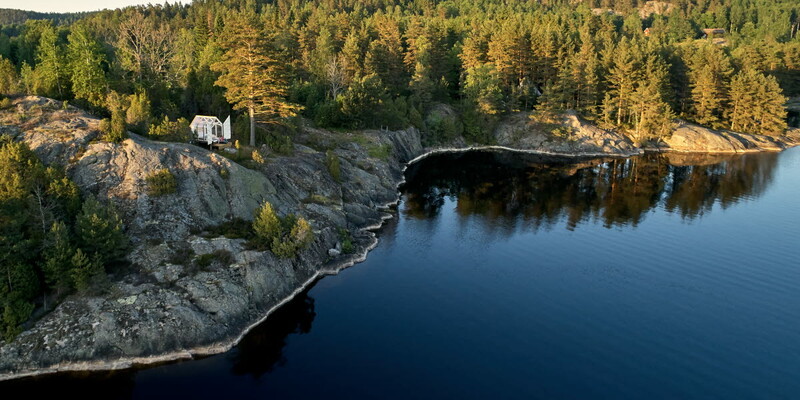 The glass cabin is perched on a rock beside the lake, suitably named Iväg (which in English means ‘away’). 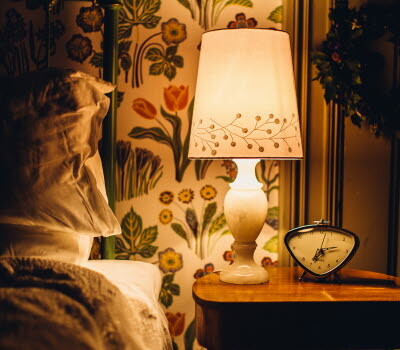 From your bed in the glass cabin it is only too easy to become immersed in your dreams – let your eyes wander slowly across the lake and the forests and allow any thoughts you may have about coping with the stress of day-to-day life to slowly evaporate. 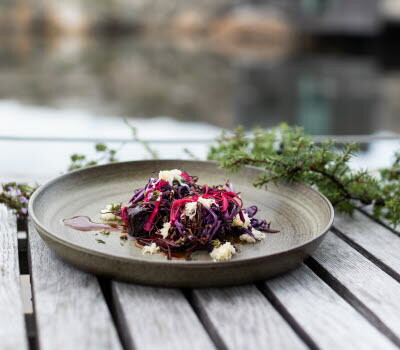 Your cabin is located on your very own peninsula, just above the water level, around 800 metres from the Dalslands Aktiviteter restaurant and activity centre. Your nearest neighbour will be a group of teepees, just a stone’s throw away. Otherwise the glass cabin is cut off from the outside world. Why not start off the day by taking the rowing boat out on a dawn fishing trip? Apart from enjoying the peace and tranquillity of nature and the spectacular view across the lake and forests, you can book a wide range of activities. You can try your hand at kayaking or panning for gold in the Steneby river, you can go trekking on horseback, or you can pay a visit to the elk park and say hello to the King of the Forest. You can also take a guided forest tour and learn all about animal tracking and how to start a fire without matches. You can even put your archery skills to the test. When you arrive at Dalslands Aktiviteter you will be welcomed by a guide. Accompanied by refreshments, you will receive information about what lies ahead of you during the coming days. You will then make your way down to the glass cabin, which is about 800 metres from the activity centre. The guide will show you how everything works – the outdoor toilet, campfire area, rowing boat, bathing area and so on. Three dinners – you can choose if you want to eat in the dining room, or if you would like to take your food to the glass cabin and arrange your own barbecue dinner. 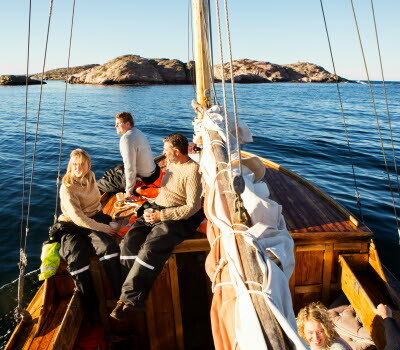 The cost of the basic package (72 hours) is 6,695 Swedish kronor per person for single occupancy, and 3,995 Swedish kronor per person for two persons sharing. You can also book an overnight stay at just 2,500 kronor per glass cabin per night (includes accommodation and breakfast). A guide to accompany you on a fishing trip, walking tour, canoeing trip, or beaver safari (1,350 kronor/half day or 350 kronor per hour). Wilderness skills – learn how to light a fire outdoors and whittle useful tools from materials found in the forest. 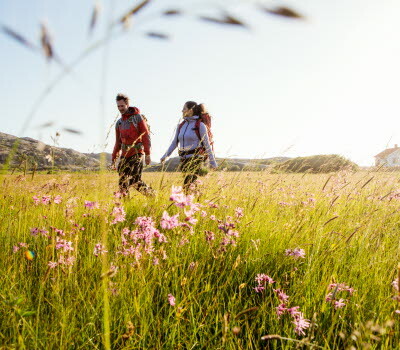 Learn about the flora and fauna, how to orientate yourself in the wild, and how to follow animal tracks. Duration: approximately three hours (1,600 kronor/group). Guided trek on horseback, ranging from one hour to a full day (from 400 kronor per person). Archery – a relaxing activity that focuses on breathing control, posture, and the workings of the bow (300 kronor per person for a one-hour lesson). Panning for gold in the Steneby river. The activity centre reception has all the equipment you require, along with information about how to pan. Duration: 2-3 hours (200 kronor per person). Kayaking – embark on a picturesque three-hour Steneby river kayaking tour. The tour will take you downstream along a nine-kilometre stretch of the river with a whole host of natural obstacles to navigate past. (500 kronor per person, including equipment and transport back to the activity centre). The glass cabins were designed by Jeanna Berger, daughter of the owners of Henriksholm, Staffan and Maria Berger. The aim is to bring the visitor closer to nature, and the design idiom is ‘pared back’ and functional. All the materials are sourced from local suppliers. Read more about Jeanna’s thoughts behind the glass cabins. 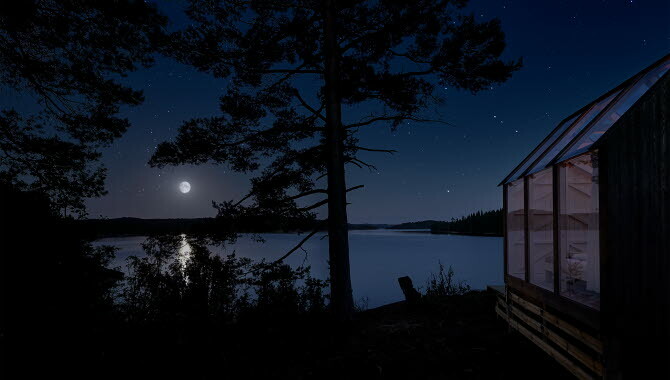 The glass cabins are located in Dalsland, in western Sweden. Here you can find information about the easiest way to get there. In preparation for 2018, new glass cabins were built at a number of locations. 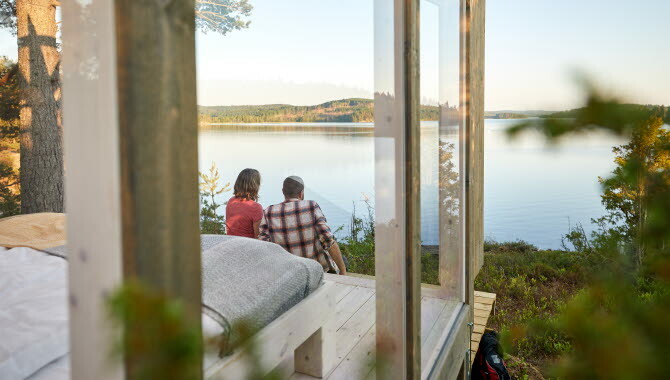 The glass cabins are in slightly different locations in Dalsland, resulting in a range of experiences depending on where you choose. You can also read about the five glass cabins at Henriksholm and the two glass cabins at Baldersnäs.